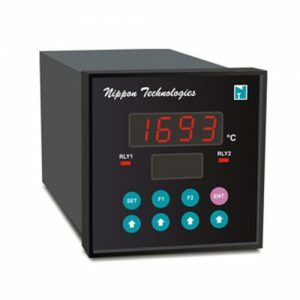 Temperature Instruments – Nippon Instruments (India) Pvt. 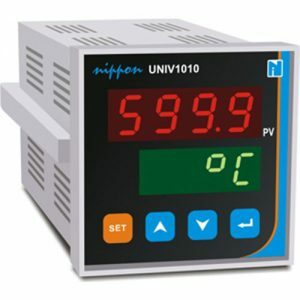 Ltd.
NIPPON 1010-1 provides indication with 1″ (one inch) display. These are easy to read displays from longer distance. The product is housed in 72H x 144W DIN size enclosure. 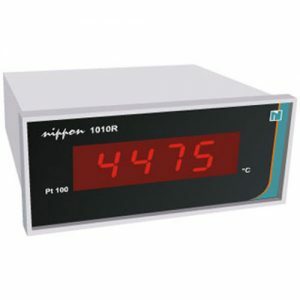 NIPPON 101048 is a unique product housed in 48H x 48W DIN size box. The surface mounting devices are used. The top switch power supply can support 90 260 VAC. NIPPON 1010A are 3 1/2 digit and 41/2 digit Digital Temperature indicators respectively. 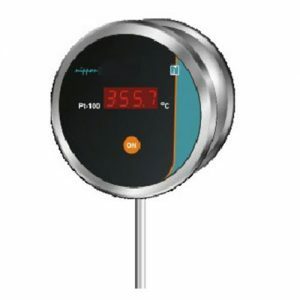 They are widely used for accurate and quick measuring applications in engineering, chemical, food, Pharmaceutical Industries R & D Departments and Laboratories. 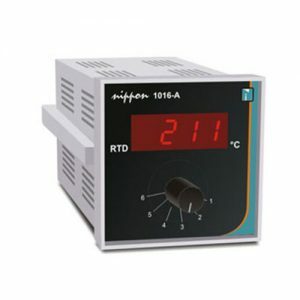 NIPPON 1010R is a unique product housed in 48H X 96W DIN size box. The indicator provides retransmission output of 4 -20 mA, 24 VDC is provided for loop power. 6-Point temperature indicators are available in nippon 1016. Six point selection switch is available to select the channels. The selector switch is heavy duty & zero contact resistance. NIPPON-Digigauge is a Digital Dial Thermometers, finds application for spot and accurate temperature measurement. The instruments contains 2 parts, one is dial and the other one is stem. They are designed for 3 1/2 and 4 1/2 digital display. Thermometerts are housed in 6″ and 4″ dials. It works on a 9V battery. Easy to read LCD shows accurate temperature. RTD's are Cr-Al. Thermocouples are used as temperature sensors. The sensor can be given as per desired length and sheath material. 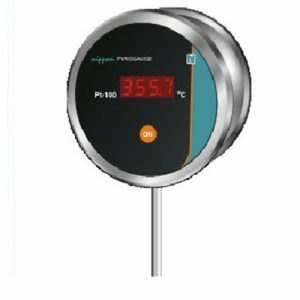 NIPPON-Pyrogauge is a Digital Dial Thermometers, finds application for spot and accurate temperature measurement. The instruments contains 2 parts, one is dial and the other one is stem. They are designed for 3 1/2 and 4 1/2 digital display. Thermometerts are housed in 6″ and 4″ dials. It works on a 9V battery. 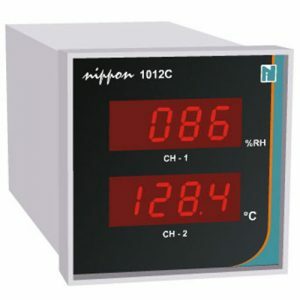 Easy to read LCD shows accurate temperature. RTD's are Cr-Al. Thermocouples are used as temperature sensors. The sensor can be given as per desired length and sheath material.